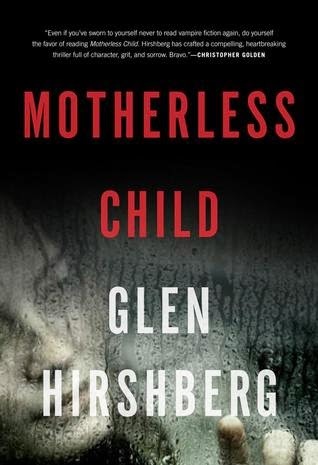 "In his powerful novel, Motherless Child, Bram Stoker Award–nominee Glen Hirshberg, author of the International Horror Guild Award–winning American Morons, exposes the fallacy of the Twilight-style romantic vampire while capturing the heart of every reader. It’s the thrill of a lifetime when Sophie and Natalie, single mothers living in a trailer park in North Carolina, meet their idol, the mysterious musician known only as “the Whistler.” Morning finds them covered with dried blood, their clothing shredded and their memories hazy. Things soon become horrifyingly clear: the Whistler is a vampire and Natalie and Sophie are his latest victims. The young women leave their babies with Natalie’s mother and hit the road, determined not to give in to their unnatural desires. Hunger and desire make a powerful couple. So do the Whistler and his Mother, who are searching for Sophie and Natalie with the help of Twitter and the musician’s many fans. The violent, emotionally moving showdown between two who should be victims and two who should be monsters will leave readers gasping in fear and delight." This is one of the most intriguing vampire novels I have ever read. Not only does the book take a fresh look at an old archetype, but it also examines complex emotional relationships. The book follows two young, unwed mothers, Natalie and Sophie, who after a night away from their babies, wake up to find themselves the victims of an attack. They are aware of what they have become and they know that in order to protect their children, they have to leave them in the care of Natalie's mother. There is a real sense of heartbreak here, for these young mothers. Leaving their children is devastating to them, and as they try to discover what this new life holds for them, they constantly have to also fight the urge to run back to their kids. The metamorphosis is an unbearably lonely one. It is clear that every character who has been turned is struggling with a complete sense of isolation, and they take some small bit of comfort in companionship with each other, but ultimately, the change has left them with little in the way of emotions, and their only true sense is of the loss of something that they can't even quite remember. So, the book has a very sad, lonely quality. It does not portray becoming a vampire as something desirable. However, in this tale, humans do see these vampires as irresistibly appealing. They literally will offer up their own necks to them, because the change allows vampires to exert some amount of control over the people around them. Hirshberg explains that they are like moths to a flame- they know what will happen to them, and yet the pull to give the vampire whatever they desire is overwhelming. And perhaps, the most interesting thing to me, was the examination of the relationships in the book. The author looks at a number of issues that affect women. Natalie and Sophie are young women, raising children alone, while the fathers are mostly out of the picture. The burden of parenthood has been placed solely upon them, and the men in the book are left free to make their own decisions while the girls are forced to undertake all of the responsibilities that came from their nights of passion. Similarly, "The Whistler" views Natalie as something he can possess, and he feels no remorse in ruining her life to suit his own desires. The treatment of the friendship between Natalie and Sophie is also intriguing, and the experiences of Natalie's mother is particularly touching as well. So there is a lot to like here. But I don't want to say any more because it would ruin your experience of it, and this is a book I highly recommend that you read. I think that there have been so many vampire books over the years, that it's hard to imagine something really unique being written about them anymore, and yet, here we have a book that accomplishes that.